Kenya Elections Prediction – Mohammed Hersi . A hotelier who is passionate about Tourism & Governance in Africa. It is my pleasure to welcome you to my blog. #KenyaElections2017 This is what I foresee , it is a lenghty piece but worth your time. Trust me. 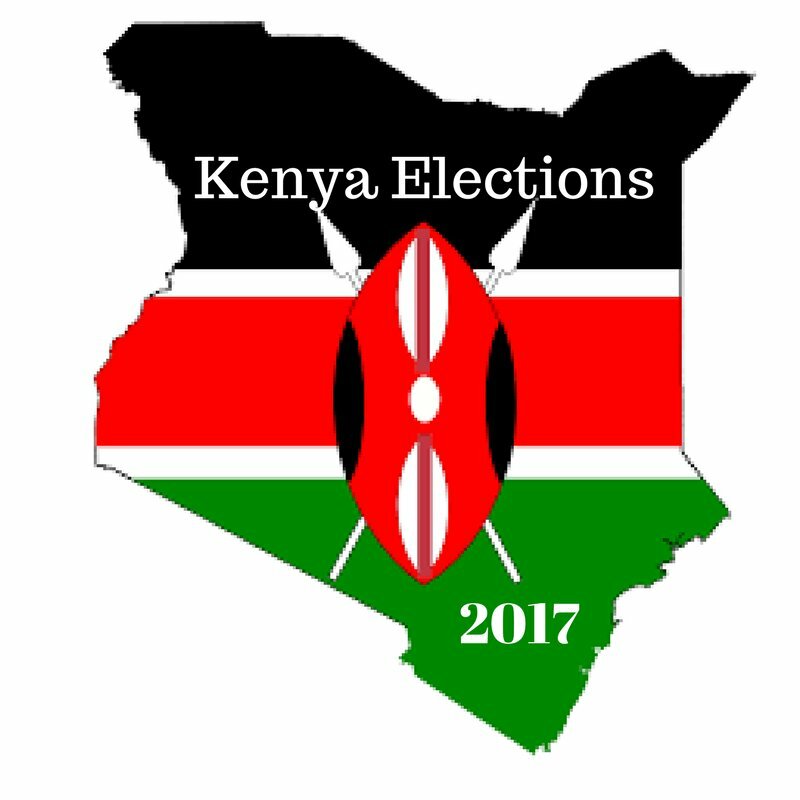 On 7/8/2017 Kenyans are inches away from a closely contested presidential election while many Governors are also chasing a second final term in office. So are Senators, MPs, Women Reps and MCA. Kenya is on the edge . International media are also all over having arrived a week earlier to position themselves. While elections are also happening in Rwanda their attention is more focused on Kenya. As they file their reports they keep referring to events of 2007 yet we had a smooth 2013 elections . You know it is hard to change perception. Kenyans across the country make a silent prayer for the only place they call home. Ordinary Kenyans interviewed all say how they will wake up early the next day to cast their vote. Our next door neighbours landlocked Uganda , Rwanda all say a prayer for us since a stable Kenya is key for them. On 8/8/2017 media Kenya is now beaming live events across the nation. Polling stations all open on time and it all systems go. Kenyans wake up very early to head to the polling stations to cast their vote . Queues starts forming and voting process suddenly looks so easy and smooth. IEBC having given a link on how to check your voters details including the stream where you are meant to vote makes it easy and quicker process. Voting is now under way. Kenyans vote and majority head back to their workplace and some home. Many head home to wait for the day to end with bated breath. The day is now coming to a close. Agents and observers are quite pleased with the days flow of events. Voting was smooth and majority of Kenyans found it easy to vote. At 5PM all polling stations close and by 6.30PM counting of votes gets underway. Daylight gives way to darkness and Kenyans retreat to their homes to follow the happenings from across the country. At 7PM first results starts streaming in and smaller wards declare winners in MCA positions followed by MP’s results. Numbers for Gubernatorial & the big one Presidential also start streaming in . 9PM it’s prime time news and it is all nothing but elections, elections and elections stuff. It’s midnight and the Presidential race as expected becomes a two horse race. Agents, observers , IEBC and security spend a sleepless night at polling and tallying centres. It is now a new day 9/8 and Kenyans are now on the edge . The conversation is nothing but about the vote counting and the results from across the country. IEBC has been giving hourly update which is now continuous. 9AM . Agents from across the devide are happy with the vote counting but the anxiety keeps building . International observers are all pleased with the vote counting . Most of the other seats winners are being announced while the main Presidential vote remains a tight race. 11AM. It is now clear that we have a winner in the Presidential race and he has gone past the 50% mark and to be more precise 53%. The No 2 who came close opt to call for a press conference to concede defeat. Kenyans are all glued to their TV stations . He thanks IEBC for conducting a very free fair and credible elections. He also reveals that he has made a call to the winning side and what an election it has been . Kenyans are pleasantly surprised and can’t believe it . The candidate who came in second appeals to his supporters to remain calm and accept the verdict of the people. He is hailed across the country as a hero and many say a prayer to thank God for taking the nation safely through a tough elections. Voters are now heard saying what a nice guy he is and wish how they voted for him , but nevertheless they shower him with love and gratitude. Conceding defeat is considered normal in other parts of the world. It only happened once in Kenya in 2002. It is now midday and IEBC call for a live press conference. The announcement is nothing new since the candidiate who came in second has already conceded defeat . The IEBC team led by it’s Chairman and CEO address a packed venue full of media . They report a record voter turnout of 86% across the country one of the highest ever ever in the world. Kenyans sigh with relief. They finely declare the Presidential race winner and leaders across the world start sending congratulatory messages. Donald Trump speak to the winner followed by UK, Canada, and EU . Kenya is hailed across the world for holding a smooth elections. The winner thanks his worthy competitor who made it exciting. The winner promises to serve all Kenyans equally irrespective of how they voted. In less than 24 hours Kenyans made a choice. Kenyans are congratulating each other. suddenly we are one family. It is now time to go back to our normal lives, It has not been easy. The stock exchange opens with a bang and the index across counters are all up. The few who left the country for fear are now looking for tickets to fly back. It’s now peak period for tourists arriving for the annual wildebeest migration and Kenyans have a big smile on their faces and can’t wait to share the good story . Kenyans so used to politics are now bored. Kenyans who expected contested results are now bored. International media who planned to camp here for weeks after the elections are now forced to fly back since good news ain’t news. Folks the above scenario is possible. We did it in 2002 and yes we can do it once again. To IEBC thanks for allowing us not only to check our voting details but even voting stations and stream from the comfort of our phones. Please give us a free fair and credible elections. To the two sides, please give IEBC space. Let them deliver on their mandate . Chebukati and Chiloba want to go down in history as the pair that delivered a smooth elections. They are not from Siberia , they are also Kenyans and they mean well. As always I choose to remain an optimist, God Bless Kenya . Previous PostMadaraka Express ; In 2017 buying a train ticket you ask us to call ? Let this prayer be answered In sha Allah we need peace. Thank you hersi. Love that piece! Praying your words will be the reality on the ground. Happy and peaceful voting day to all.